Forgot iTunes backup password? You are just in the right place! 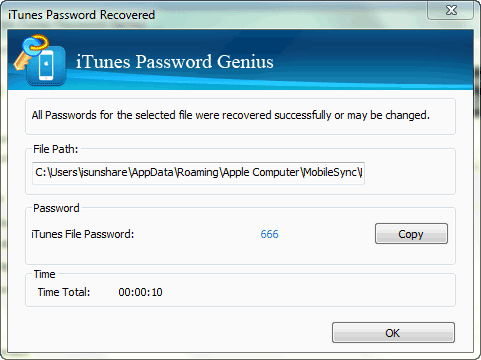 Although, iTunes app uses very high-level encryption there are ways you can recover the lost password. Some of the most effective ways are detailed below in the article. Let’s get started. Step 1: Open your iOS device and go to “Settings”, followed by “General” and then tap on “Reset”. Step 2: Then, tap on “Reset All Settings” and provide your passcode for the device. Step 3: Tap on “Reset All Settings” to confirm. 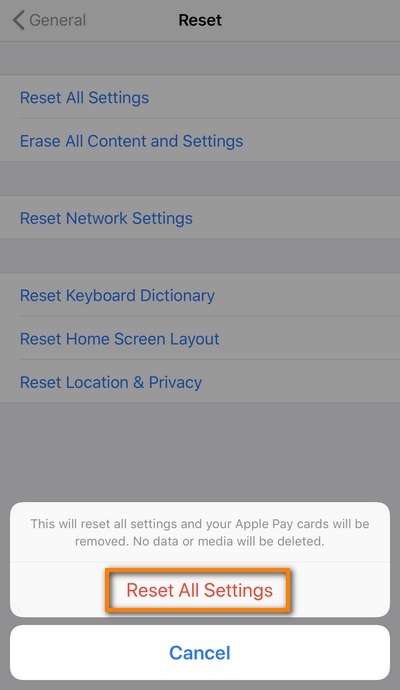 Doing this all your settings will be reset and even Apple Pay Cards will be eliminated. But it won’t harm your files. 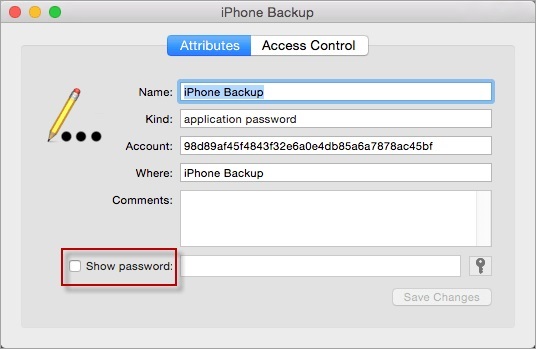 Step 4: Now, your iTunes backup password will be reset and any other backup file you create with the iTunes will not be encrypted unless you set a password again with iTunes, again. So, if you want to encrypt the iTunes backup files again then all you have to do is to connect the device to the computer and then run the iTunes app. Then, click “Encrypt Device” from the main interface. The iTunes backups are highly encrypted. So, if you have lost the password for that particular backup file then you will need a professional program like iTunes Backup Password Recovery to unencrypt iTunes backup without a password. 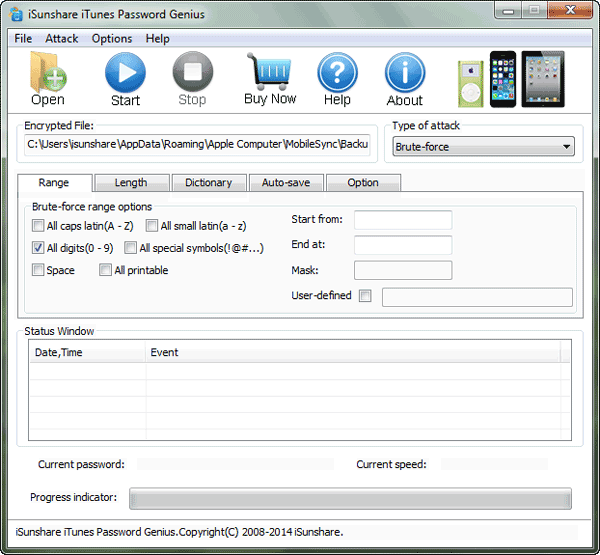 It is developed to recover any type of iTunes backup password with ease. It is by far the best method to recover password hands down! Step 1: Download and install the program on your computer and then run the iTunes Backup Password Recovery. Step 2: Then, click on the “Open” button and the program will search your computer automatically for the available iTunes backup files. Choose the backup file you wish to unlock and then import that file to the program. Step 3: Now you have to select an attack type from the following: Brute Force, Mask Dictionary and Smart. Step 4: Now, click “Start” and the program will recover the password for the backup file. This is an excellent method to recover the lost password for your highly encrypted iTunes backup file very easily. Highly recommended! So, if you can’t unencrypt iPhone backup because you have forgotten the password then the backup file won’t be of any use to you and it will also be unreadable. 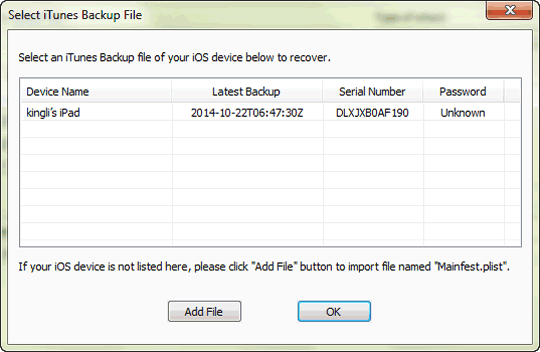 The procedure works for all iTunes backup files; including the backups made from iPhone, iPad, and iPod. Step 1: Open your Mac and go to Keychain Access. Go to “Applications” and then click on “Utilities”. Step 2: Now, go to the Search box at the top rightcorner of the panel and type “iPhone Backup”. Step 3: make double-click on the search result. Step 4: There is box right beside “Show Password”, check it. And then type the Administrator Password for the Mac device. The password associated with your desired iTunes backup will be revealed. Step 5: Now, all you have to do, is to write down the password and exit the Keychain access. Now that you have recovered the lost password successfully, you can use that recovered password to enter the encrypted iTunes backup file without any issues. The article discusses several ways to decrypt iTunes backup, all these methods are very effective to crack that highly encrypted backup file with ease. Unfortunately, decrypting the backup from the iOS device will reset all the settings of the device and it will also remove all the Apple Pay Cards. The Keychain method is also very effective but it is too complicated for the general population. 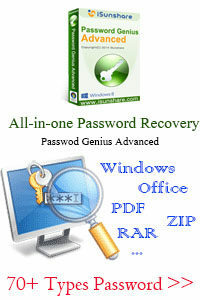 But it will be easier to use the professional password recovery program like iTunes Backup Password Recovery. It is fast, effective and the operational procedure is very simple. Go for it! BPRT(Best Password Recovery Tool) gathers the best password reset software for Windows, Word, Excel, PPT, Pdf, iTunes and more. Copyright © 2018 Best Password Recovery Tool. All Rights Reserved.